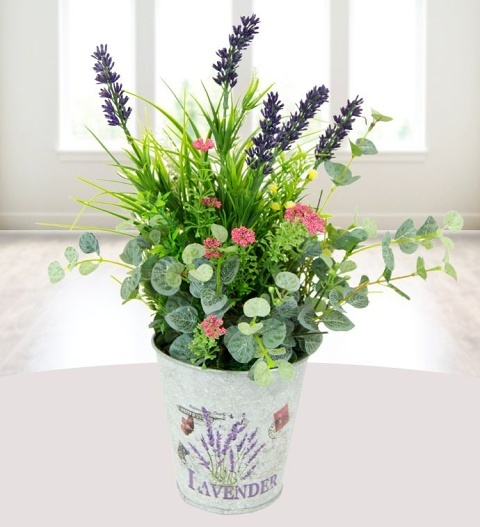 Our Lavender and Anemone silk flower arrangement is beautifully presented with faux eucalyptus and spring blossoms. Each arrangement is skilfully handmade by our talented artists; the detail is impeccable and they are without a doubt the most beautiful silk flowers on the market. Perfect for occasions, the gift needs no care, just admiration. The Lavender and Anemone arrangement is available for UK next day delivery.